It looks a lot more like Minecraft than anything else! It's a big day for Dragon Quest fans, with the first official footage of Dragon Quest Builders having been shown during the Dragon Quest press conference this morning. Plenty of different modes of play were shown off, showcasing a world that looks not unlike that of Minecraft. 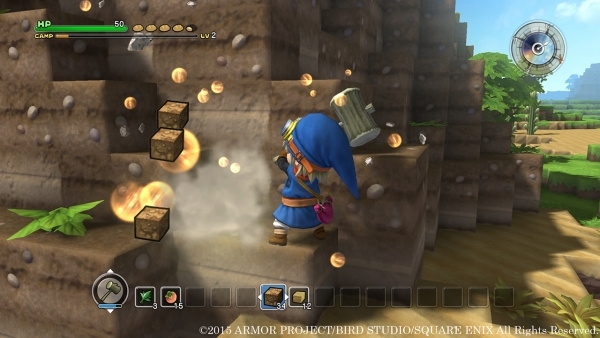 We've all thought this before, but what will end up setting Dragon Quest Builders apart from its obvious influences? It's going to be a while before we have anything to go by, as the title isn't due out until winter in Japan for PlayStation 4, PlayStation 3, and PS Vita. For now, we can all enjoy the footage above!